Ezra Miller as the Flash, maybe for the last time. Surprise! In the embattled saga of slow-moving DC movies, bet you didn’t see that one coming. 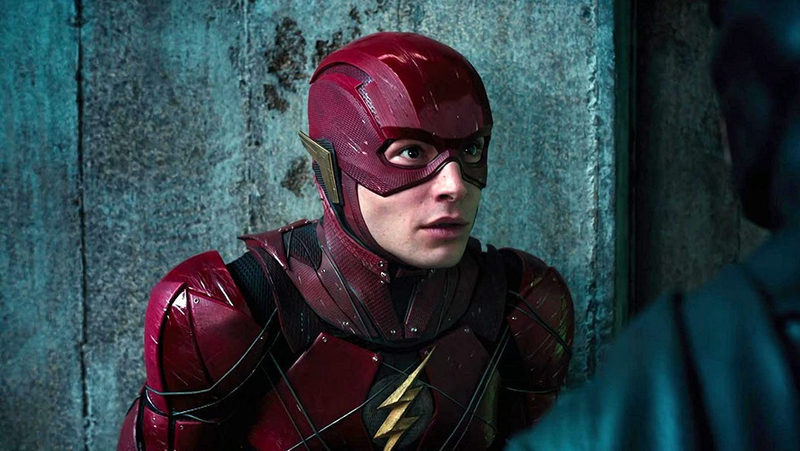 According to the Hollywood Reporter, Ezra Miller, in a purported bid to keep on in his role as the Flash, has taken it upon himself to write his own script for the in-production Flash film. Apparently, Miller has had conflict with John Francis Daley and Jonathan Goldstein, the directors currently attached to the project (and known for Spider-Man: Homecoming). While the directorial duo is interested in a lighter, more playful take on the Flash, Miller wants something darker. So Miller is creating his own version of what he wants to see, and he’s doing it with an unlikely ally: acclaimed comic book writer Grant Morrison. Morrison and Miller have been hired by Warner Bros. to produce Miller’s take, which has higher stakes than just the vibe of the upcoming film. According to THR’s insiders, the success or failure of this script could indicate whether or not Miller stays on in the role of starring Speedster. Supposedly, Miller’s holding deal for the film expires in May, and if they can’t reach a direction for the film by then, it may change pretty drastically. If Miller leaves, he’ll be the second DC hero to depart his property of late over script problems. Writing a superhero movie that makes everyone involved happy is apparently pretty hard. One thing, to my mind, is pretty clear: I want to see that script. Even if this movie doesn’t get made, I hope it sees the light of day somehow.